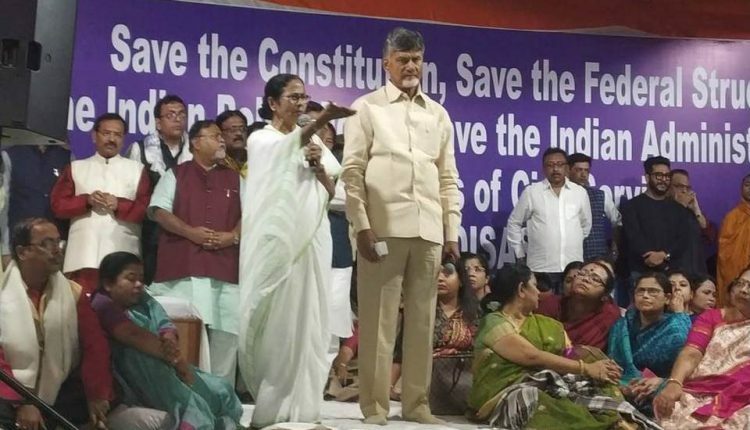 Kolkata: West Bengal Chief Minister Mamata Banerjee ended her three-day long ‘Save the Constitution’ dharna in front of the Metro Channel at Esplanade here on Tuesday evening. 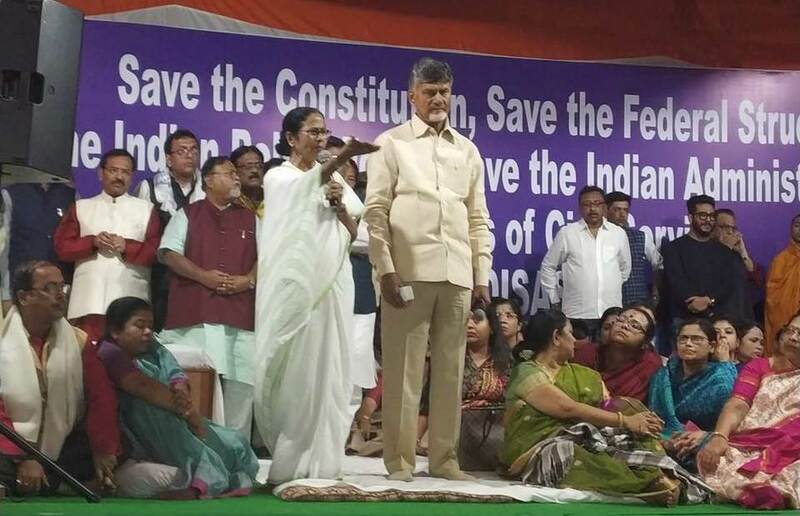 “This dharna (Save the Constitution) is victory for the Constitution and democracy, so, let us end it today,” Mamata announced minutes after Andhra Pradesh CM Chandrababu Naidu met her at the protest site. She was protesting since Sunday night after the Central Bureau of Investigation (CBI) officials tried to enter Kolkata Police Commissioner Rajeev Kumar’s residence to allegedly question him in connection multi-crore chit scam cases in the state. Earlier in the day, the Supreme Court asked Kumar to appear before the CBI in connection with the Sarada chit fund scam Rose Valley chit fund scam. The top court said that Kumar cannot be arrested and that no coercive action will be taken against him.